1 A Ukrainian serviceman gets a haircut at a military camp near the town of Debaltseve in eastern Ukraine. 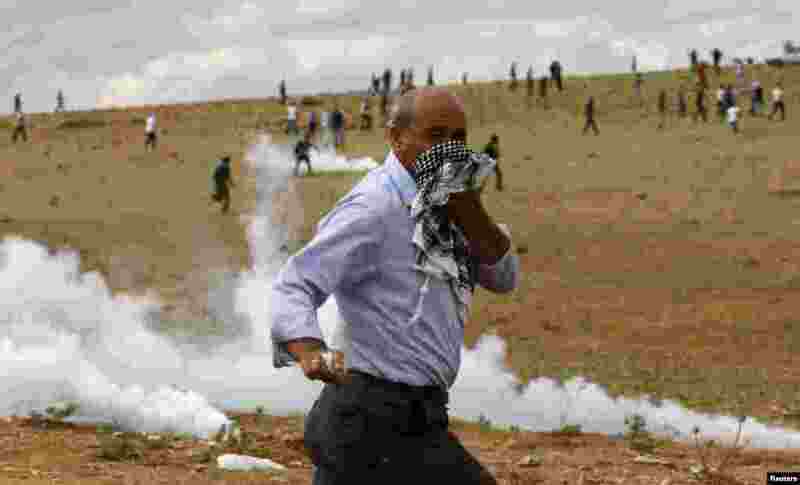 2 A Turkish Kurd protester runs away from tear gas fired by riot police near the Turkish-Syrian border in the southeastern town of Suruc in Sanliurfa province. 3 U.S. actor George Clooney and British lawyer Amal Alamuddin arrive at the palazzo Ca Farsetti in Venice, for a civil ceremony to make their wedding official. 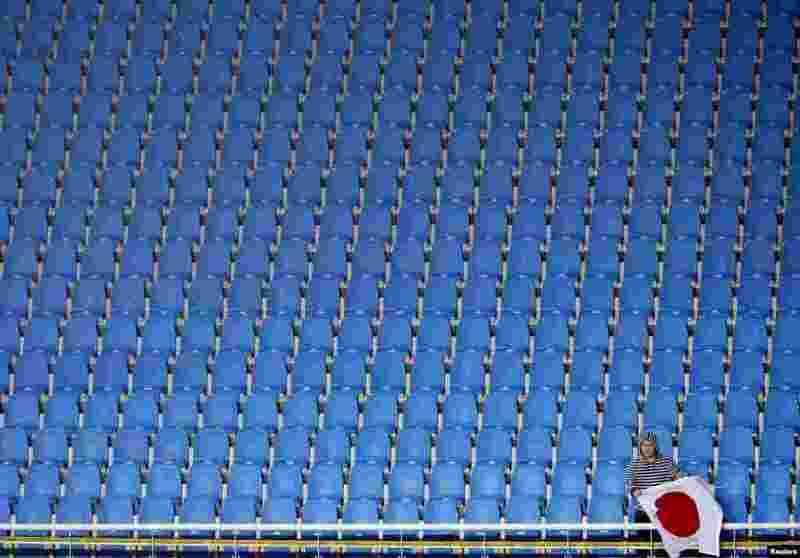 4 A soccer fan cheers Japanese women's soccer team with a national flag during the women's semi-final soccer match against Vietnam at the Incheon Football Stadium during the 17th Asian Games in Incheon, South Korea.